From the very beginning, public education has been a central part of how AARCH fulfills its mission. This focus reflects an early choice by the organization to cultivate a regional historic preservation ethic, by changing hearts and minds, primarily through public education. Public Tours. Each year, AARCH sponsors between thirty and forty public educational tours, primarily between June and October, throughout the region. They focus attention on a variety of communities and themes and reflect AARCH’s broad view of what sites and communities have historic and architectural significance. 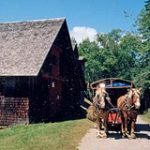 Special tours include “White Pine Camp” and “Rustic Study” tours. What Style Is It? This workshop teaches participants to identify and understand basic architectural styles. It has been held in various places throughout the region held including: Elizabethtown, Essex, Keeseville, Lake Luzerne, Northville, Plattsburgh, Port Henry, Warrensburg, and Westport. Restoring Wooden Structures at Camp Santanoni. This was a hands-on course, taught by our builder-in-residence Michael Frenette about the basics of restoring wooden structures. Cemetery Headstone Conservation. The workshop taught people to repair and conserve cemetery monuments. Restoring Historic Wooden Windows. This was a hands-on workshop that taught people how to repair and restore historic wooden windows. Public Slide Presentations. Since 1995, AARCH staff has given more than 250 public slide presentations to more than 8000 people, in diverse locations throughout the region. 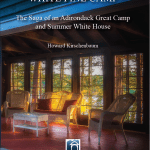 The slide programs include “There’s More to Adirondack Architecture than Great Camps,” “Camp Santanoni: Past, Present and Future,” “Historic Preservation: What’s It All About?” and “Historic Bridges of the Adirondacks” to name a few. The lectures are a great way to introduce new people to AARCH and to spread the word about our mission and work. Arts in Education. For more than a dozen years AARCH offered school programs in various regional public schools. The longest running of these programs was as part of an innovative program in the Plattsburgh City School District. Publications. 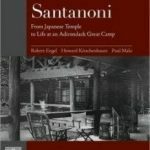 AARCH has published two books, Santanoni: From Japanese Temple to Life at an Adirondack Great Camp by Rob Engel, Howie Kirschenbaum, and Paul Malo. 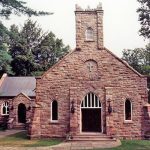 And, Adirondack Churches: Their Design and Building by Sally Svenson. AARCH publishes a yearly Newsletter, a monthly digital E-Newsletter, and the new blog, The AARCHer. 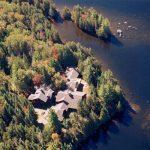 Additional project contributions have included Places of the Spirit with the Lake Placid Institute, and Adirondack Style by F-stop Fitzgerald.